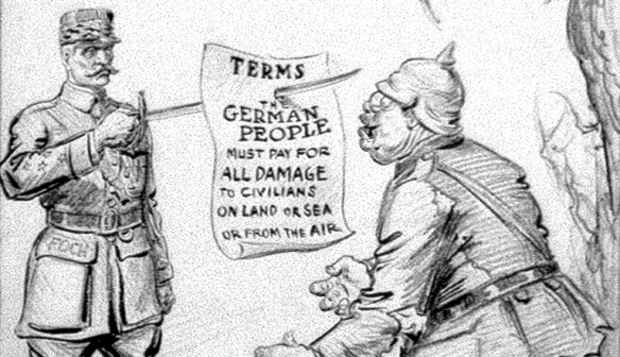 Germany had to pay for all damages that was done because of the war. Since most of the war was fought on french territory, most of the money was paid to France, and some to the UK. Germany also had to pay interest, yet the debt was so high up already, Germany couldn't even think about paying interest on top of that. The actual amount that had to be paid kept changing based on currency. However in 1929, the reparations were amended.